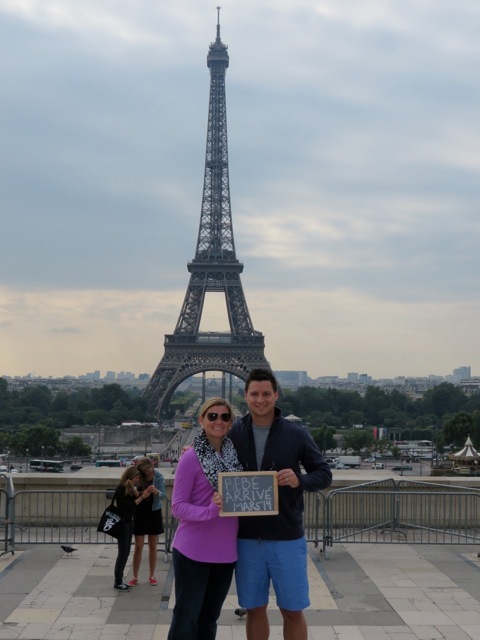 This September my daughter and son-in-law traveled to Paris. This is the card I made with the Cricut “Destinations” cartridge to wish them a safe and wonderful trip. For the card, I choose a printed card that I purchased in a package from Hobby Lobby. 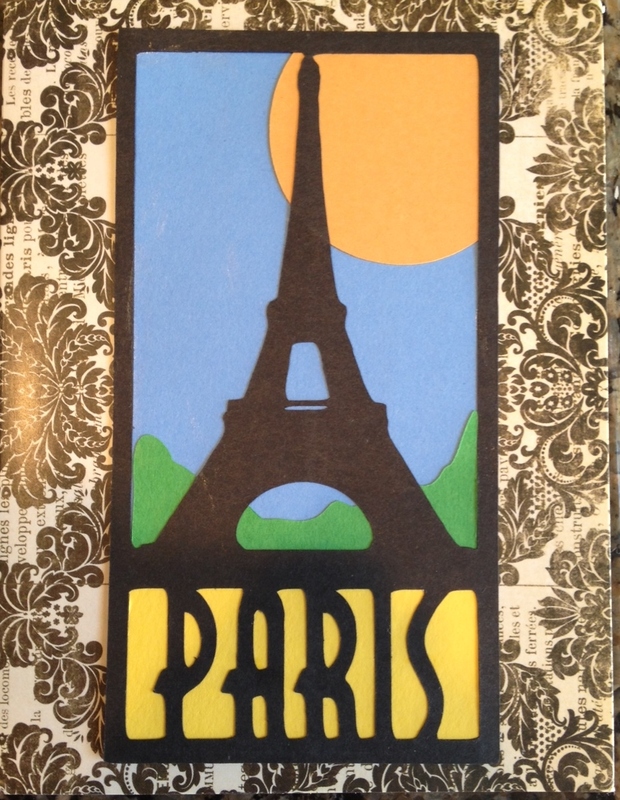 I then proceeded to make the various cuts for the center portion of the card…black (the outline), light blue (sky), light yellow (portion behind the word Paris), green (bushes) and dark yellow for the sun. It was a fairly simple card to make, but it did have several cuts! 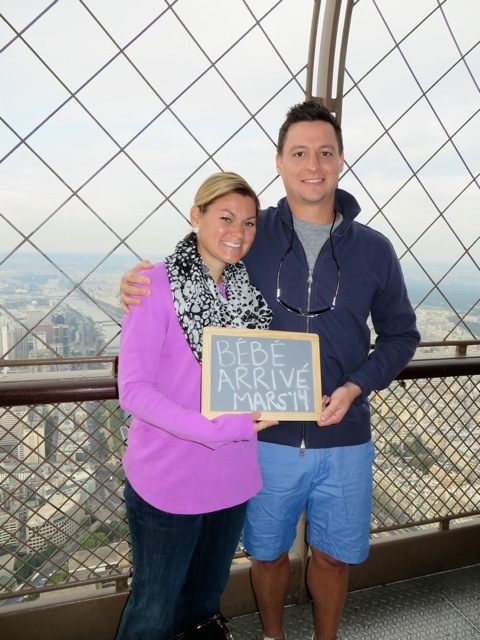 “Bebe -Arrive-Mars 2014” They announced the arrival of my first Grandchild! We are thrilled. Now for the great part…..
you will get to follow me as I complete all the baby projects! This is just the beginning! !